Food is a universal means of communication, and one of the simplest ways to cross cultural boundaries. 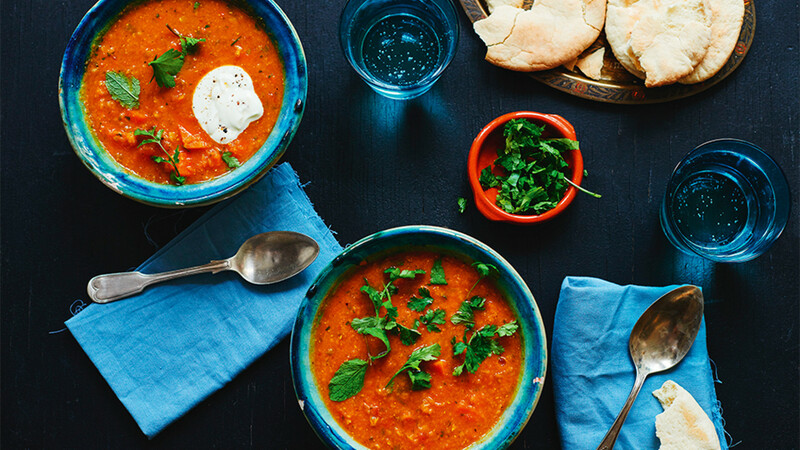 Be it a recipe book, supper club or food delivery service, these inspired ideas use eating and drinking as a way of supporting refugees and spreading awareness. 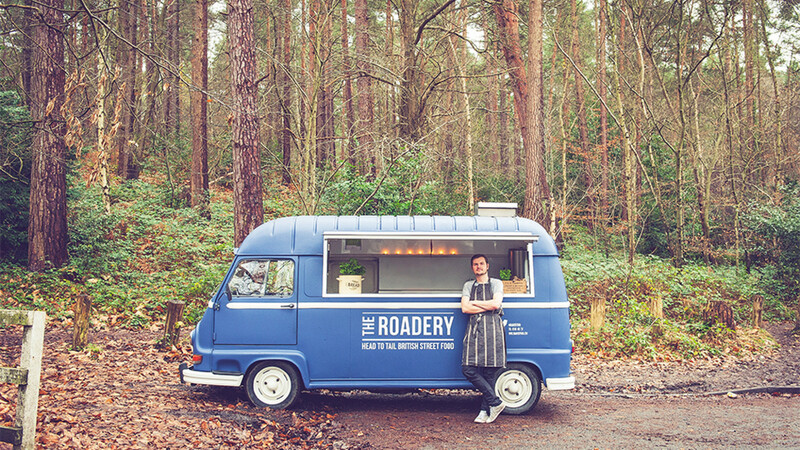 Dan Shearman of The Roadery founded his travelling food truck (housed in a classic Renault Estafette van) on the premise that he wanted everything to be ethical, working with suppliers who rear animals naturally, grow produce organically and make their food with love. He's now bringing these values to helping the refugees in Calais: having crossed the Channel in September to bring them hot, nourishing meals, he and other street food vendors including Rupert's Street, Fleisch Mob, The Bowler and What The Dickens! 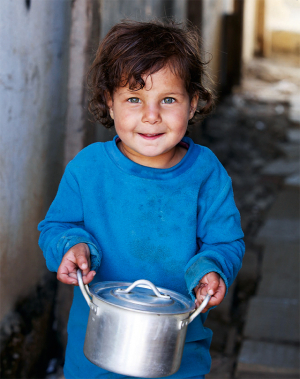 are teaming up in the hope of crowdfunding £10,000 to take the refugees food and other necessary aid in January, when winter will be at its harshest. Volunteers are needed, along with other vendors. It's not often you get to try dishes from Nicaragua, Ethiopia and Iran in one sitting, but that's what you'll find at Mazi Mas (which means 'with us' in Greek) at The Ovalhouse Theatre. Its aim is to support and train refugee women so that they can use their cooking knowledge as a source of income, as well as welcoming them and their cultures into our city. As founder Nikandre Kopcke points out: "If we want to continue making refugees feel welcome and give them access to employment, what we really have to do is ensure that we run a buzzing restaurant." Sounds good to us. Here's a cookery book that'll expand your repertoire of belly-warming soup recipes whilst giving you the feel-good factor: Soup for Syria. Buy a copy and 100% of its cover price will go to the UN Refugee Agency. Everyone from Yotam Ottolenghi to Sally Butcher has donated recipes, and Pavilion Books and the Guardian Bookshop have covered all production and distribution costs. The idea came from Barbara Abdeni Massaad, author of the award-winning Man'oushe: Inside the Street-Corner Lebanese Bakery, who comments "When I visited the Syrian refugees in Lebanon, I said to them: 'Had I been a barber, I would have cut your hair. Because I am a cookbook writer and photographer, I am doing what I can do to help through my work'." Food is much more than nutrition: it's one of the most relatable ways of communicating and understanding different cultures, which is key when welcoming refugees to their new life in the UK. Food delivery service Marley Spoon is stepping up to the plate by working with Syrian, Afghan and Pakistani refugees to introduce us to their dishes through its recipe boxes until 11 January – as well as donating 100% of profits to a charity working to help set up satellite initiatives across Europe. Each box will contain the exact quantities of fresh ingredients needed to make meals such as Pakistani chicken curry with fresh ginger and Afghan carrot soup with red lentils, yoghurt and pita bread. Hands Up Foundation has taken it upon itself to help us learn more about Syria with monthly supper clubs at E5 Bakehouse, where you'll be able to sample Syrian food, learn about Syrian culture and donate to an extremely worthy cause. Co-founders Louisa Barnett and Rose Lukas spent time in the country, and came back wanting to raise awareness of what's going on. If you want to help, you can also host your own dinner – Hands Up will help you with recipes, give you flyers to tell guests exactly where the money is going and try to provide you with a speaker who has recently been to Syria. You can then donate some of your profits to your chosen charity or crowdfund campaign. 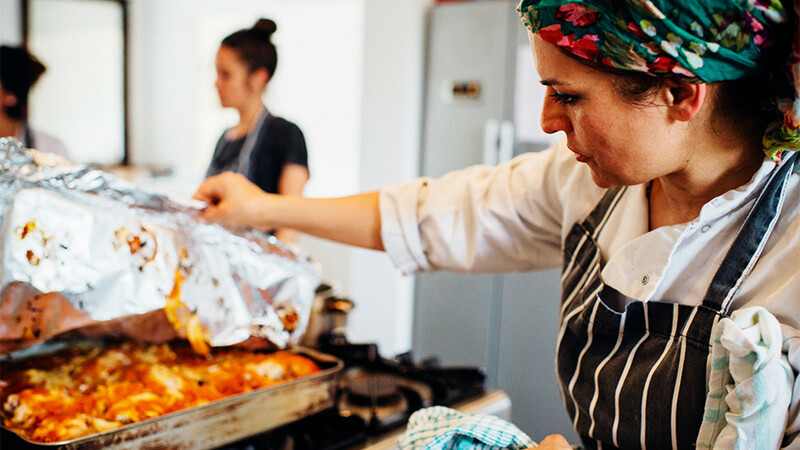 The Chickpea Sisters, based in Tooting, was born when a group of refugee women involved in CARAS (Community Action for Refugees and Asylum Seekers) decided to turn their culinary skills into an income-generating activity. They're now cooking up delicious dishes for supper clubs and events, and hope to have market stalls soon. It has more than just a financial benefit – you'll also have a chance to learn more about the chefs and their home countries. You can support them by enlisting them to cater for parties, or by attending one of their events.